Albuquerque boxer Hector Muñoz (18-7-1) is ready to revitalize his career and his finally dedicating himself to full training camps. When Hector “The Hurricane” Muñoz (19-7-1) steps into the ring against John “Renegade” Revish (10-5-1) Saturday April 28th at the Santa Ana Star Casino, he will be doing so with an 18 and 0 record on New Mexican soil. It’s been six months since the Albuquerque boxer, Muñoz took on number eighth ranked Yoshihiro Kamegai, on the Toshiaki Nishioka vs. Rafael Marquez undercard in Las Vegas, NV. 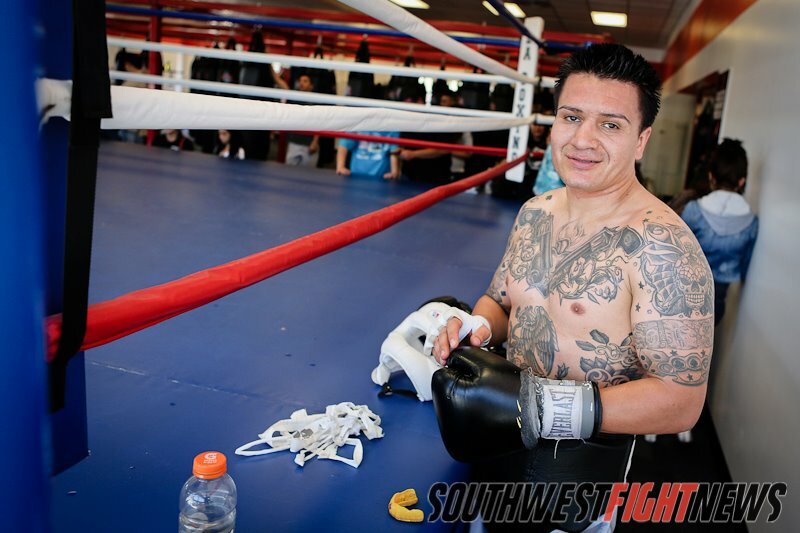 Since that loss that night, he has put together quite possibly the best training camp of his career, training with the likes of world class boxer Devon Alexander and at retired five-time world champion Johnny Tapia gym in Albuquerque. Enter John Revish, an orthodox boxer with the ability to fight in the inside and from the outside. Hailing from Baton Rouge, Louisiana, Revish will not feel the pressure under the Telefutura television lights, on April 28th. His last bout was against 2008 U.S. Olympic representative Javier Molina (10-1) on ESPN’S Friday Night Fights. There has been a bit a tension between the two fighters brewing over the past three weeks. Revish has promised to stop Muñoz before round six of their scheduled eight round fight. Members of Revish’s camp have also reached out directly to both Golden Girl Promotions CEO Dominic Gonzales and even myself to relay messages to Muñoz, stating that Revish will retire him and even downgrading Muñoz from a hurricane to a tropical storm. “He’s gonna take this Tropical Storm’ a little lightly” says Muñoz. As far as his message to Revish’s camp: “Don’t let him get sick, don’t let anything happen to him because he’s going to get it in the ring,” promises Muñoz. The bout is slated to be the co-main event on the Solo Boxeo: Boxing in the Bosque Fidel Maldonado Jr. vs Fernando Carcamo.